In four weeks’ time, the Zoological Society of London (ZSL) will host a one day event that aims to bring together leading experts in biodiversity monitoring and satellite remote sensing to discuss ways to better capitalise on this technology to monitor biological diversity globally. This symposium builds on recent discussions about how to best prioritize satellite data collection and processing to support conservation initiatives. Although satellite-based variables have long been expected to be key components in a unified and global biodiversity monitoring strategy, how to plug satellite information into existing monitoring frameworks is indeed still very much debated. This particular event therefore aims to (1) demonstrate the increasing importance of integrating technological developments with biodiversity monitoring initiatives; (2) present new interdisciplinary frameworks for better capitalising on satellite remote sensing technology to monitor biodiversity and report on changes in biological diversity globally; and importantly (3) debate implications for policy and practice. The ten speakers presenting their work on the 29th of April have been very active in the fields of remote sensing for conservation and developing global indicators to track biodiversity. For example, Gary Geller, who opens the symposium, currently works for the Secretariat of the Group on Earth Observations (GEO), as an expert on biodiversity and ecosystems under the Scientific and Technical team. Gary also seats on the steering committee of the GEO Biodiversity Observation Network (GEO BON), a global effort to make biodiversity observation systems interoperable and develop the related Community of Practice. Lucas Joppa is based at Microsoft Research where he works on computational techniques for monitoring, modelling, and managing earth's natural environments. Lucas developed and led Microsoft's partnership with the IUCN Red List of Threatened Species, serving on the IUCN Red List Committee and chairing the Red List Informatics Working Group. He is also the 'Advisor on Science and Innovation' at the United Nations Environmental Program - World Conservation Monitoring Center (UNEP-WCMC), and, through the Ecological Society of America, a member of the US steering committee for the Intergovernmental Platform on Biodiversity and Ecosystem Services. Emily Nicholson is a senior lecturer in quantitative ecology at Deakin University, where she develops theory and tools to make complex environmental problems tractable for decision-making. Emily has been quite involved with the development of the Red List of Ecosystems, a new biodiversity indicator that relies strongly on access to satellite remote sensing data. Apart from the superb line-up of speakers, why is it worth joining us on the day? I would give you three possible answers. First, this symposium is all about maximising networking options. Being able to approach and chat to experts during a conference can be tricky. To help address this situation, this symposium will have a raffle, whereby each participant gets the chance to win a free one-to-one lunch with one of the speakers. The winners will be announced just before the first coffee break, at the end of the first session. Second, the event is all about cost-effectiveness and a lot of efforts were put into making sure that each participant gets maximum benefits out of the attendance fees (which have been kept as a minimum). The selling point of this strategy is the scientific publication workshop offered to all attendees at the end of the symposium, which will be run by members of the Remote Sensing in Ecology and Conservation editorial team. These members (namely Doreen Boyd, Martin Wegmann, Shovonlal Roy, Duccio Rocchini, Mathias Disney and myself) will all be available to grab during the whole event in case there’s any questions about the journal, its aims & scope, or submission process. Third, there’s more to win. The symposium is running a poster session (deadline for submitting your poster being the 13th of April) and a poster competition. Each poster will receive personal feedback by the speakers, and the winner of the competition will return home with two free tickets to ZSL London Zoo and a one year subscription to one of ZSL’s journals. There is a selection of book prizes too. Want to join us? All you have to do is to register here. The venue is at ZSL London Zoo, the nearest underground station is Camden Town. 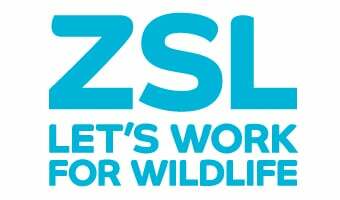 The registration fee is £50; a discounted registration fee of £40 is available to ZSL Members and Fellows and students. Any question about the event, just drop Jennifer (jennifer.howes@zsl.org) an email or a call (0207 449 6227). I hope to see you there!